That’s right! I’ve been to the cinema twice in 5 days! Haven’t done that since I was single! Anyway, I managed to convince Aisha to come with me to see the Artist, the modern made silent film about the birth of the ‘talkies’, currently bothering awards ceremonies and set to win big at the Oscars next month. 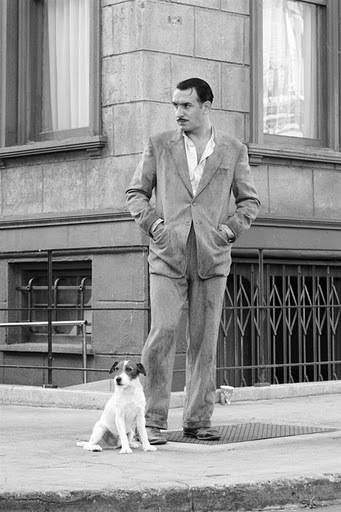 The film was excellent; it didn’t overplay the silent gimmick, even using it for some well timed and perfectly executed comic beats, and the performances were flawless, especially from leads Jean Dujardin and Berenice Bejo, and the adorable dog Uggie. 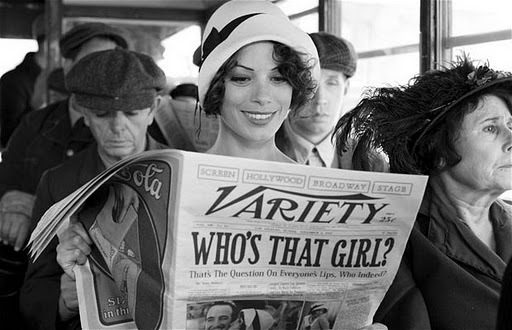 The plot was a tad predictable, concerning Dujardin’s silent movie star losing his way amid the encroaching sound-laden future, whilst Bejo’s struggling extra finds spoken dialogue could lead to a promising career, but then the plots of silent movies often were, especially by today’s standards, where 99% of stories are entirely made from previous pictures. The supporting cast of well known or know-the-face actors, including John Goodman, James Cromwell, Missi Pyle and Malcolm MacDowell, was a little off putting, as many had wordless roles I was waiting to crop up again, but other than that this was a near perfect film that’s my current frontrunner for best picture. 100th film! 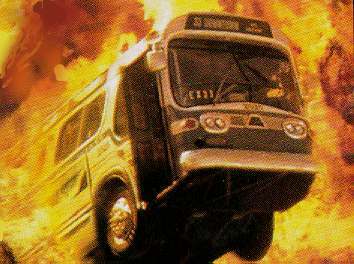 Although really I’d have preferred it to have been the 50th, seeing as it’s about a bus, rigged with a bomb that activates once the bus reaches 50 miles per hour, detonating should the buses speed drop below 50. 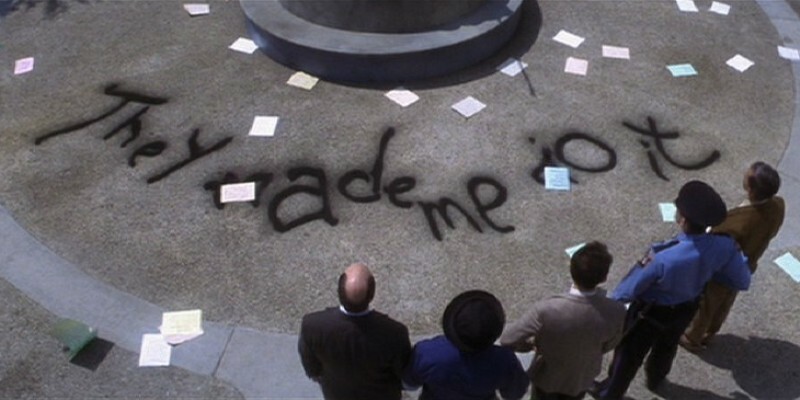 The planter of the bomb is Dennis Hopper’s vengeful psychotic ex-cop Howard Payne, angry at Keanu Reeves and Jeff Daniels’ foiling of his first elevator-based hostage situation and eager for a paycheck he feels he’s been cheated. But you don’t care about the motive or who’s behind it, as Payne tells Reeves’ Jack Traven, “Your concern is the bus.” Whenever the film detracts from this central conceit, be it following the non bus bound cops trying to track down Payne or Hopper himself watching the action unfold on the ever present media, the pacing immediately slackens, so enticing is the central plot.